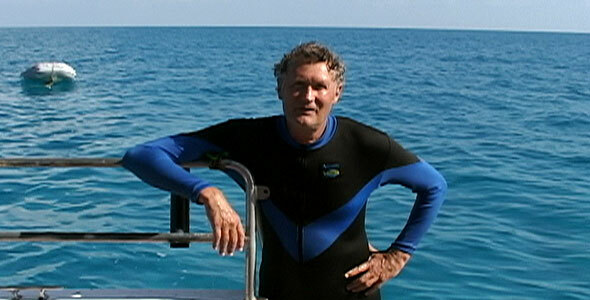 Hardy Jones, the filmmaker behind NATURE’s The Dolphin Defender, is a former journalist with CBS News and UPI. He has been making documentaries about oceans, and marine mammals in particular, for more than 20 years. He has also founded a conservation group, BlueVoice.org, that seeks to publicize the threats facing dolphins and other sea life through films. 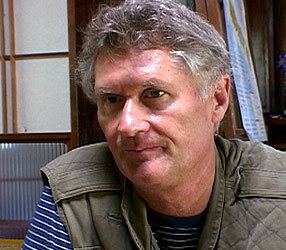 Jones spoke to NATURE Online from his office in California in May 2005. How did you become interested in dolphins? Originally, I became interested in human consciousness, and that led me to a bunch that studied consciousness. One of the things they were fascinated by was this other animal on earth that had a brain as large as our own: the dolphin. Also, I’d been a diver all my life. But I hadn’t really had contact with dolphins until I met this incredibly brilliant group of people in the late 1970s. How did you decide to make your first film about dolphins? Well, at the time, dolphins were being killed by the thousands, so I was very concerned. Everybody said that you couldn’t make a movie about dolphins in the wild. But a treasure diver told me there was a place in the Caribbean where you could find dolphins and dive with them. That was 1978 … and it was miraculous. There we were, 40 miles from land in this cobalt-blue water … dolphins swarming around us with this intense curiosity. It was the opportunity of a lifetime. Do you have a favorite species? There are over 40 species, and I’ve probably seen about half of them in the wild. But spotted dolphins that I know so well are the ones that I feel closest to. Yes. The message that I’m trying to bring forward is that dolphins are intelligent, individual creatures just like us. They deserve an unusual level of protection because they are sentient creatures. Increasingly, people are saying they don’t want dolphins killed needlessly, any more than you would want a person killed. It’s not right. The state of the oceans is precarious, and [of] the dolphins even more so … pollution, over-fishing … we’re in a dangerous situation and have to do something about it. Dolphins are called an umbrella species because, to save a dolphin, you also have to save their habitat and their prey — everything. So when you tell a story about a dolphin, you are really telling a story about the whole ocean. In the film, there is some remarkable footage of dolphins apparently protecting you from a hammerhead shark during a dive. Oh yes. When they went after that shark, it surprised and relieved me enormously. That hammerhead was really huge. But the dolphins can be quite aggressive. And the sight of these four young dolphins dive-bombing that shark was wondrous. Every once in a while you get a bit of insight into what happens out in the ocean when we are not there. It can be frustrating. I want to be able to talk to them. You get this feeling that, at the end of the day, they are as interested in meeting us as we are meeting them. … That’s why it is so tragic that dolphins are being captured and killed in so many parts of the world. One thing I’d like to have people come away from our film [with] is how wonderful and curious dolphins are. When they haven’t been harmed, they welcome contact with humans. It’s just an incredible experience to swim and interact with these animals in the wild. So my dream for the future is to keep learning. I think we can learn a lot about ourselves just by learning about dolphins.